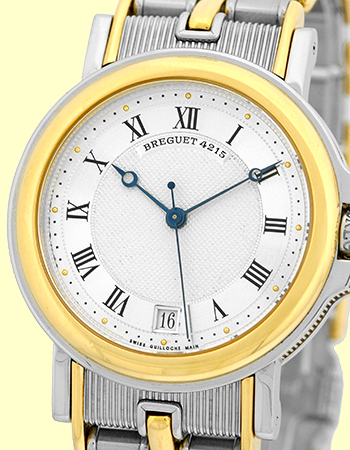 Gent's Stainless Steel & 18K Yellow Gold Breguet "Marine". Silver/Oyster Guilloche Dial with Black Roman Numeral Hour Markers, Sweep Second Hand. 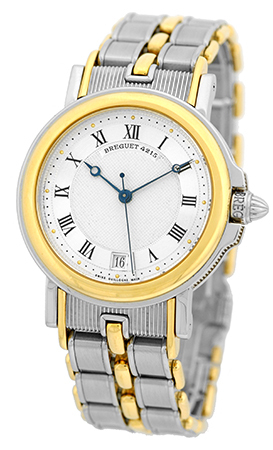 Blued "Breguet" Style Hands, Date Indicator, and Sapphire Crystal. 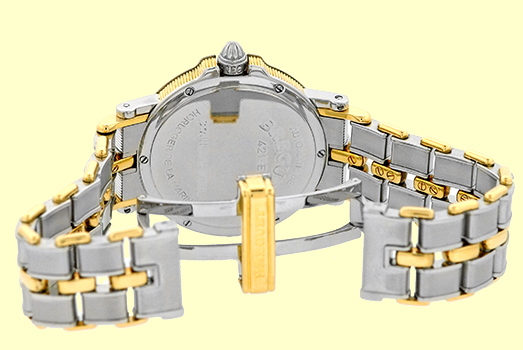 Matching Stainless Steel & 18K Yellow Gold Breguet "Marine" Dual Deployant Clasp Bracelet. NOTE: Total Bracelet Length: 6 1/2". 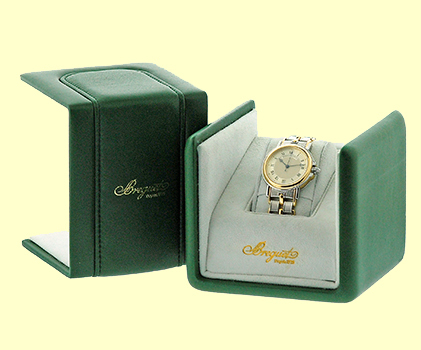 Like New, Perfect Condition with Breguet Box and complete with Capetown's Lifetime Warranty! !